I positioned the camera on a rock, in the middle of the stream, and used a remote to trigger my Nikon D200 camera. I used a slow shutter speed to blur the water. 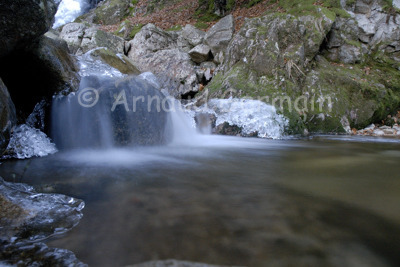 This waterfall is situated in the North East of France, near the Lac de Kruth, in the Vosges mountains.